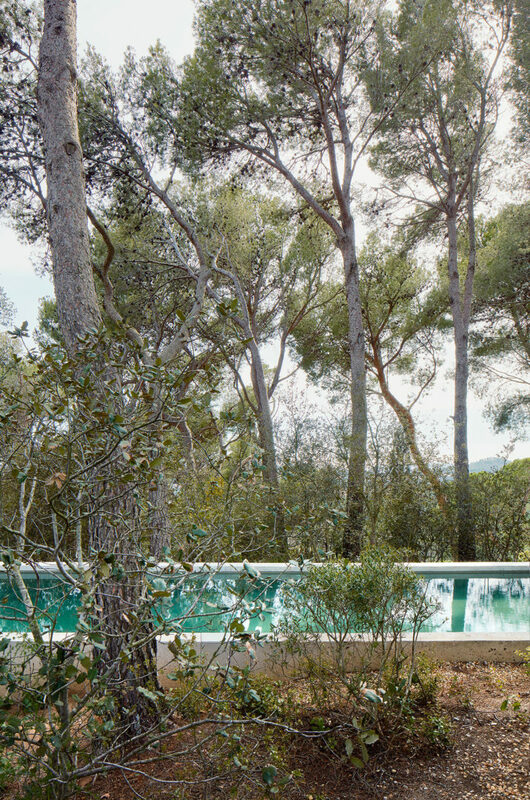 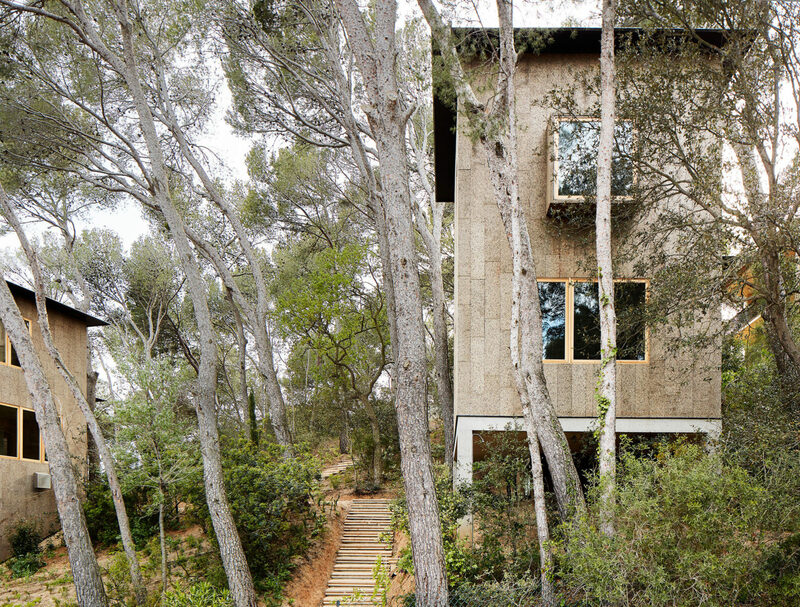 The houses are on a plot densely populated by tall, slender pines, cork trees, and holm oaks in Plafrugell, a part of the Costa Brava where cork was formerly produced. 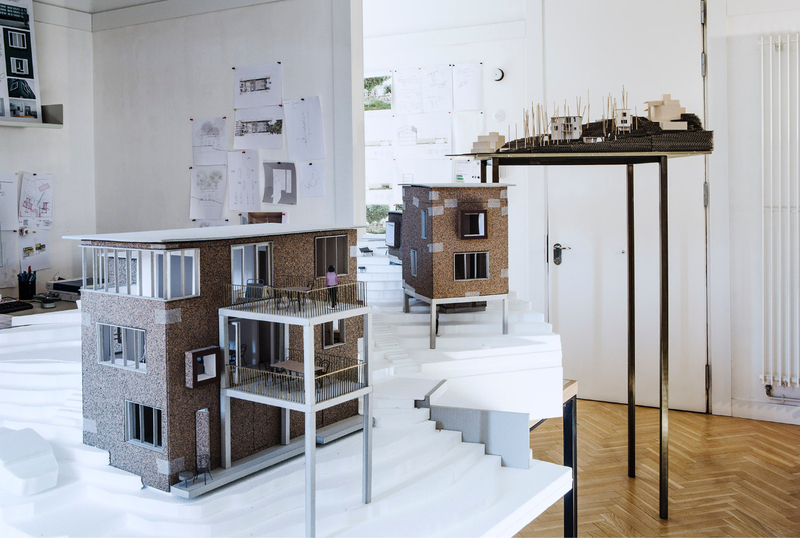 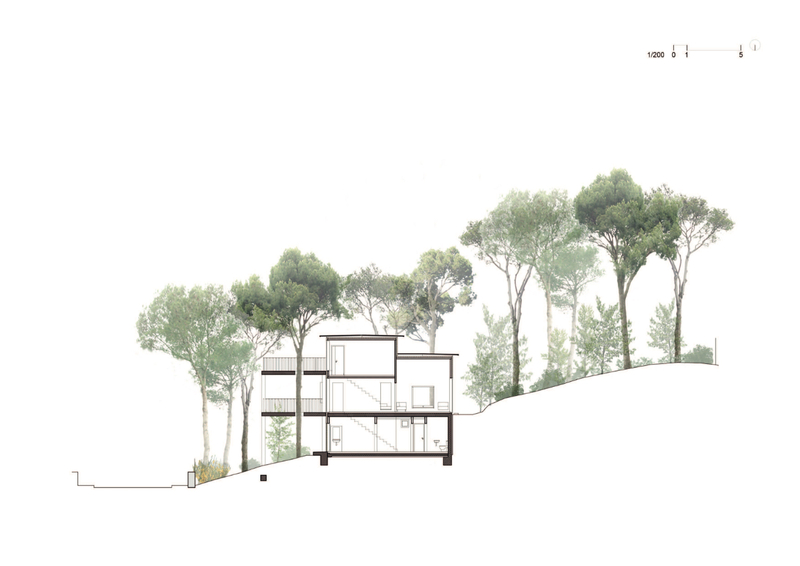 The houses emerge from an uneven and steep terrain that has been modified as little as possible. 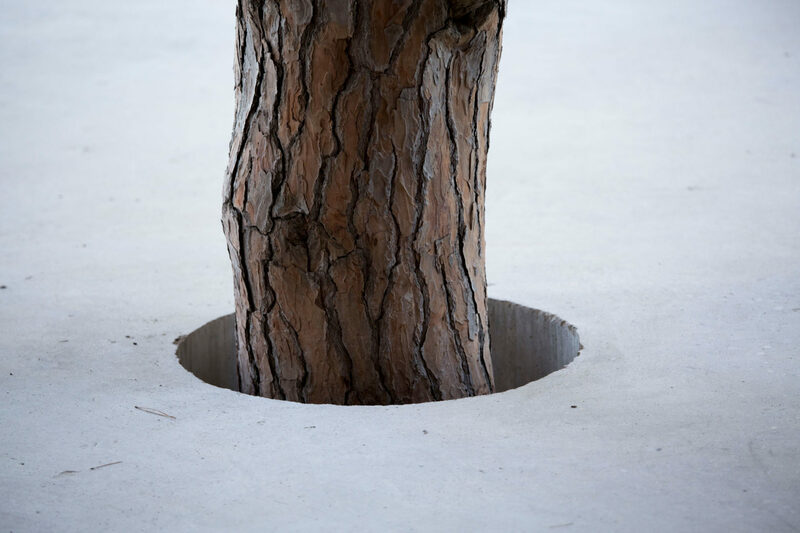 Permeable gravel pavements have been introduced and the existing vegetation has been preserved and enhanced with new Mediterranean plantings, giving the impression of a place hardly changed after the intervention. 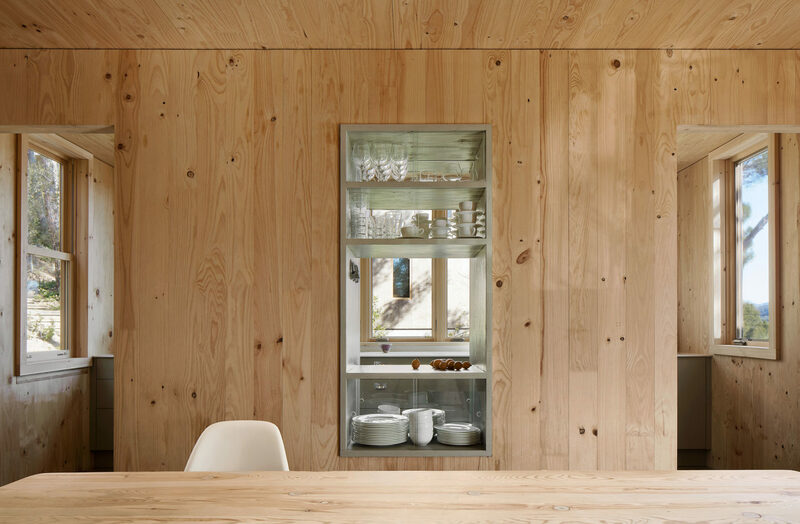 Inside the houses, the structural wood is left exposed, resulting in an atmosphere that is closer to the surrounding woodland than to the sea five hundred meters away. 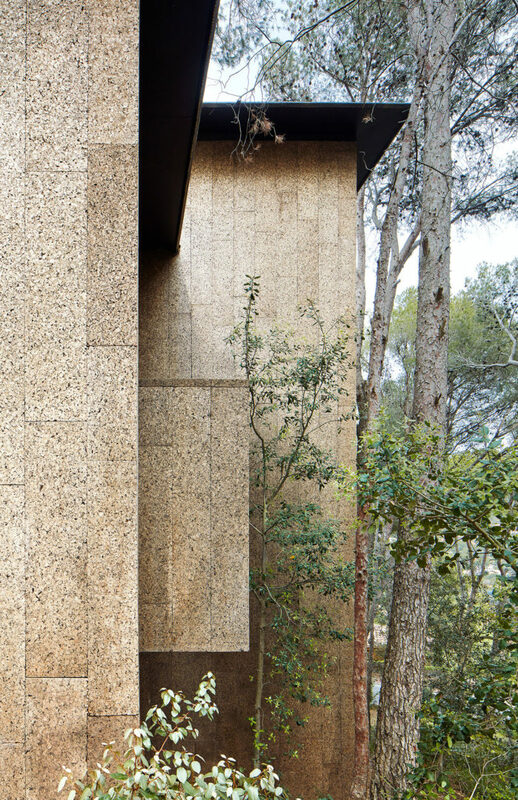 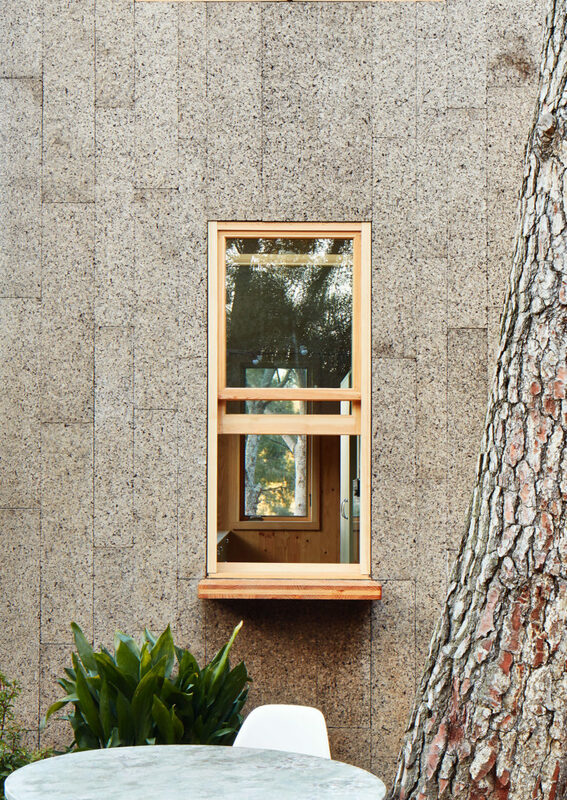 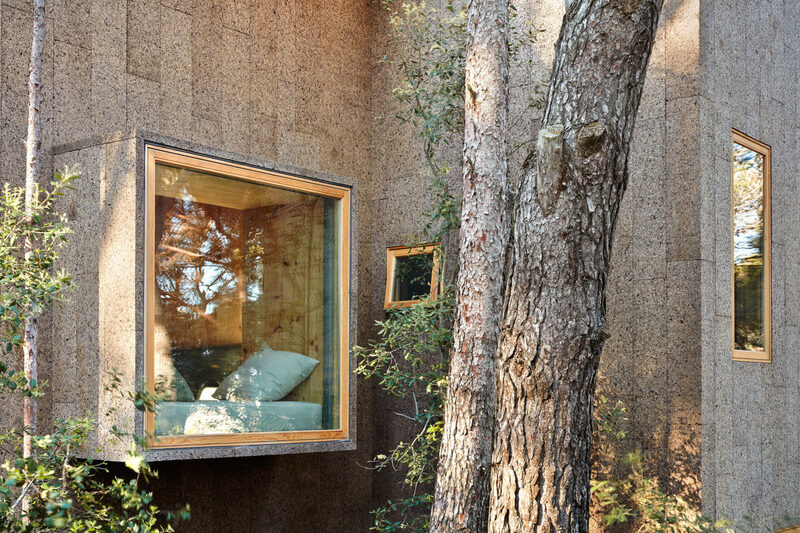 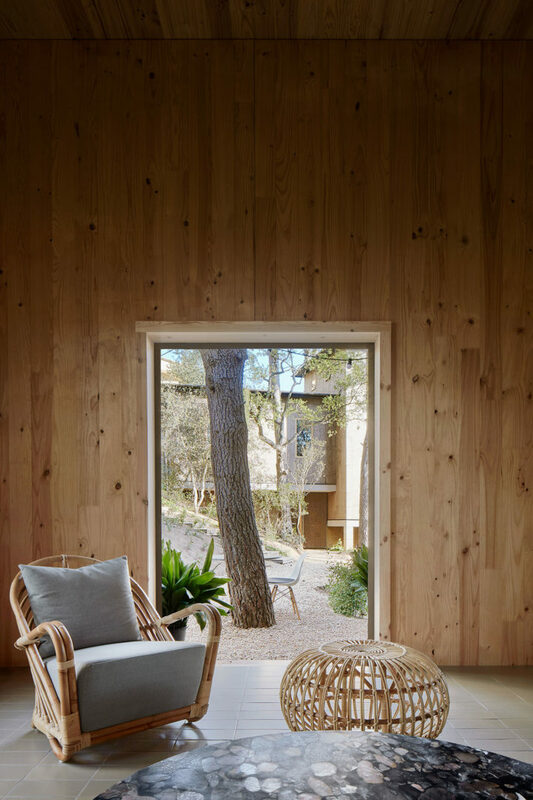 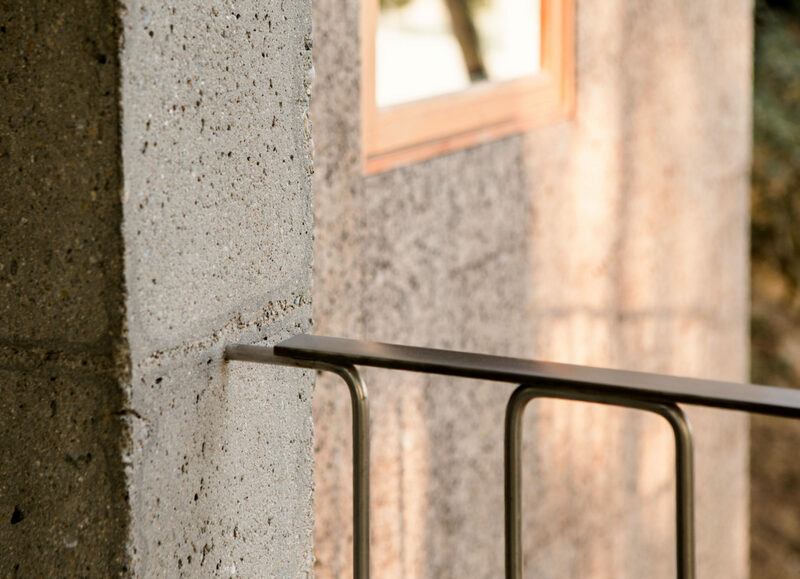 The use of cork as a material for finishing the façades supports its environmental adaptability in a wooded landscape dominated by the presence of cork trees. 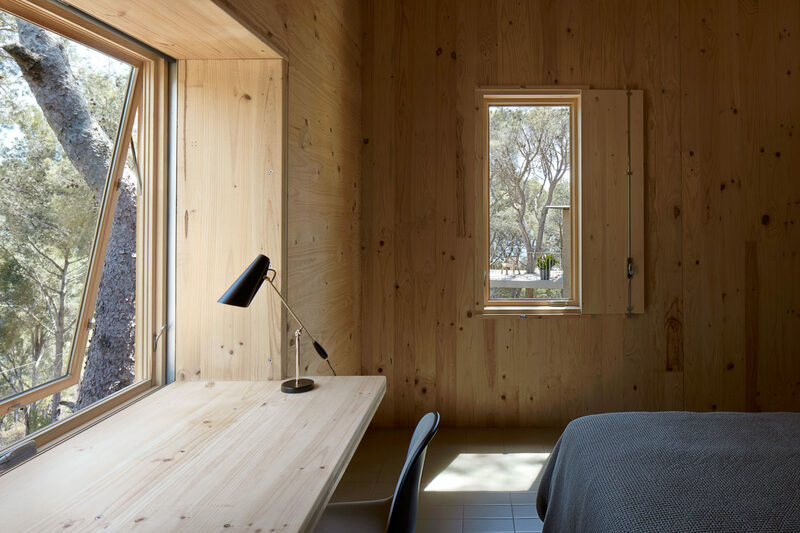 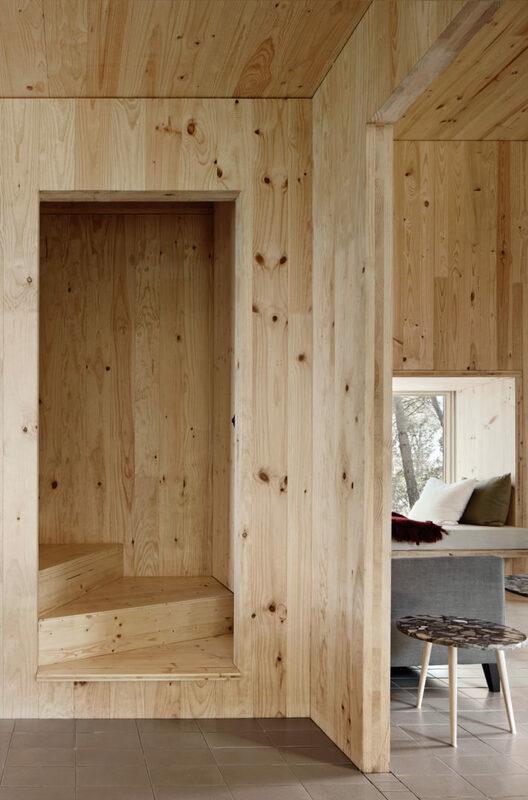 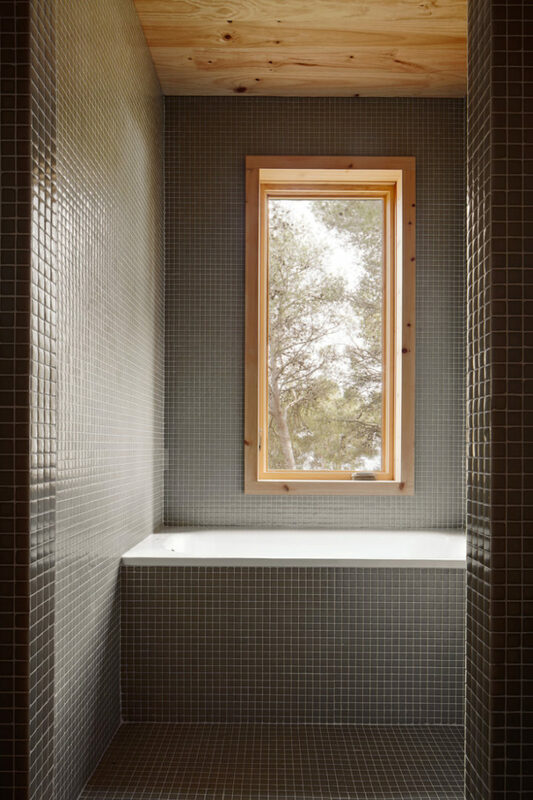 Intimate in scale, the indoor spaces are linked to one another without passageways in a sequence of rooms of varying size, their uses being defined by their relationship to the outside, be it the distant view of the sea, the vision of the tops of the pines or the direct means of access to the terrain. 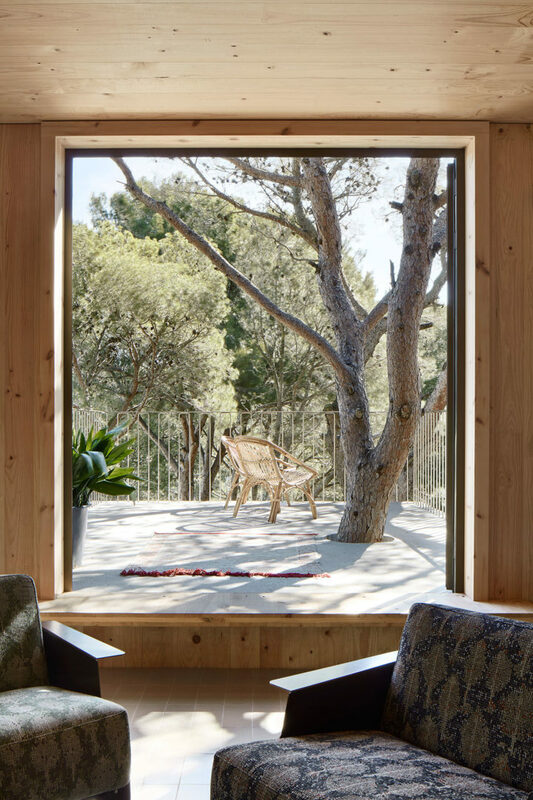 The main floor of the larger house is extended via a free-standing sandblasted concrete canopy which forms two ample terraces —suspended among the pines— with views of the sea and the coastal mountain range. 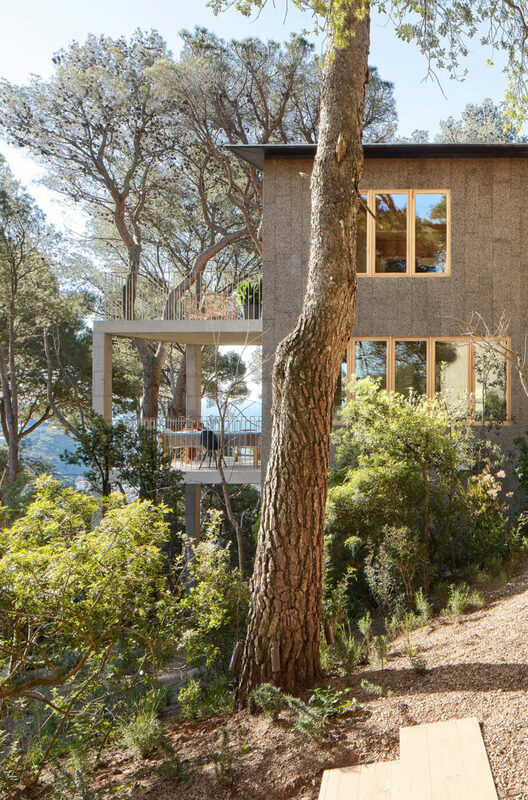 Both houses obtained a Class A energy rating (highest achievable by Spanish standards) with an annual energy consumption of 41.44 and 46.22 kWh/m2 and emissions of 7.04 and 7.88 kg of CO2/m2 a year.